Xbox Game Pass is a little bit like Netflix for video games. You pay a monthly fee to subscribe to the service, and in exchange you are able to download and play games from the Xbox Game Pass library on your Xbox One console. There are no limitations on how many games you can download, and the games are not limited in any way. Xbox Game Pass is pretty simple. You pay a monthly subscription fee, and you gain access to a large library of Xbox One, Xbox 360, and even original Xbox games that you are then able to play for free. Sign up for an Xbox Game Pass subscription. Look through the catalog of free Xbox Game Pass games. Install as many games as you like. Play the games you have downloaded whenever you want for the duration of your subscription. Xbox Live Gold and Xbox Game Pass subscriptions are not the same thing. You don't need Xbox Live Gold to subscribe to Xbox Game Pass, but multiplayer features in Xbox Game Pass games do require an active Xbox Live Gold subscription. While Xbox Game Pass is like Netflix for video games, it has one important difference. Instead of streaming games, or receiving them in the mail, you have to fully download each game that you want to play. There are no limitations on how many games you can download, or how much time you can spend playing them, but you are limited by your available storage space. If you run out of space on your Xbox One, you need to delete games that you aren't using before you can download new ones. You only retain access to Xbox Game Pass games as long as you have an active subscription. When your subscription expires, you are no longer able to play any of the games you downloaded. You will, however, retain any progress you made in those games if you wish to subscribe and play again at a later date. If you find a game you really enjoy, but you don't want to remain subscribed, your subscription provides you with the option to buy Xbox Game Pass games at a discount. How Much Does Xbox Game Pass Cost? Xbox Game Pass requires a monthly subscription that costs about $10. Microsoft offers free trials and special pricing from time to time, and you can also find deals on quarterly or yearly subscription cards from retailers. For more precise information about Xbox Game Pass pricing, check out the official FAQ from Microsoft. What Platforms Does Xbox Game Pass Work On? Xbox Game Pass is designed to work with the Xbox One platform, and it works with the original Xbox One, the Xbox One S, and the Xbox One X. Some games include additional features, better performance, and higher resolution graphics if you have an Xbox One X. Since Xbox Game Pass is a download service, and not a streaming service, you actually can take advantage of the higher graphical capabilities of the Xbox One X. In addition to the Xbox One family of consoles, Xbox Game Pass also allows you to play some games on Windows 10 computers. This is part of Microsoft's Xbox Play Anywhere initiative, which allows you to play some Xbox One games on your Windows 10 computer. There is no additional charge associated with using Xbox Game Pass on your Windows 10 computer, but not all Xbox Game Pass games are part of the Xbox Play Anywhere program. What Games Are Available on Xbox Game Pass? Xbox Game Pass includes a large selection of both brand new games and popular classics. Microsoft even includes games that it publishes itself, like Forza Horizon 4, Sea of Thieves, and State of Decay 2 on the service the day they are released for sale. In all, there are over two hundred total games included with Xbox Game Pass. New games are added each month, and some may eventually be removed, so check out Microsoft's official list to see if there are any games you're interested in. Since Xbox Game Pass is a subscription service, you need to sign up if you want to use it. You'll need a Microsoft account to complete the transaction. 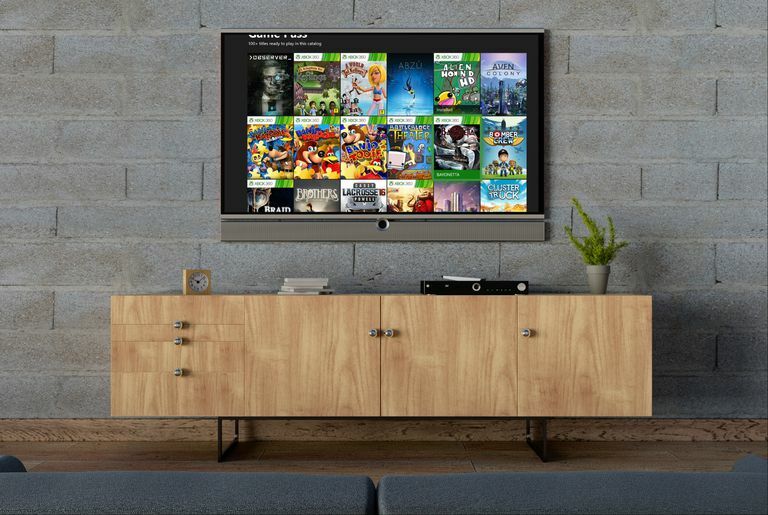 To get the most out of the service, you should have an Xbox One. However, you can sign up without an Xbox One and play on your Windows 10 computer if you're satisfied with the Xbox Play Anywhere games on the service. Turn on your Xbox One, and navigate to the Store tab. Scroll down to the Xbox Game Pass section, and select Get more info. Select the Xbox Game Pass drop down box, and choose a subscription option or select the free trial. Download any Xbox Game Pass games you want, and play them for the duration of your membership. You can also sign up for Xbox Game Pass using a web browser on your computer through the Xbox website. While you can use any computer to sign up for Xbox Game Pass, you can only play Xbox Game Pass games on the Xbox One and Windows 10 computers. Navigate to xbox.com/gamepass, and click START YOUR 14-DAY FREE TRIAL. The free trial is not always available. If you don't see that option, you will have to click JOIN FOR $1, or whatever other option Microsoft is currently offering. Select your preferred plan from the drop-down list, and click Get. Select your billing information, or enter your billing information if prompted, and click Subscribe. Download any Xbox Game Pass games you like, and play them for the duration of your membership.